Eva (Louis-Dreyfus) meets Albert (Gandolfini) at a party and they become romantically involved. Both are divorced, and have daughters leaving for college, so they have a lot in common. It looks like they could have a real relationship starting. But when Eva befriends Albert’s ex-wife, Marianne (Keener), she starts to hear all about Albert’s faults. Is he really the man for her after all? From the moment Julia Louis-Dreyfus stepped out of her Prius in her earthy sandals, I knew I was going to enjoy this film! Each of the characters have been carefully created with a fine eye for detail, and this does make a huge difference to the quality of the film – noted and appreciated. The dialogue is quite flawless and expertly delivered from Louis-Dreyfus and Collette (as the best friend). It is becoming increasingly more common to see 40 and 50-something-year-old women as the main protagonists in mainstream rom coms. They aren’t made to look younger, they are given the space to be 40 and 50-something-year-old women, and this too, is noted and appreciated. 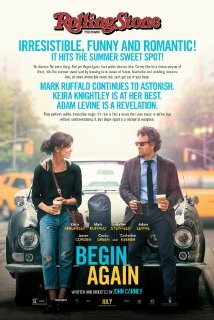 This is an extremely enjoyable film for the more mature lover of romantic comedies. John (Reilly) seems to be stuck in a rut, even seven years after his divorce to Jamie (Keener, she’s from the 40 Year-Old Virgin). Jamie convinces John to come with her and her fiance to a party in an attempt to help him out of the rut. There he meets Molly (Tomei). They seem an unlikely couple even then. Poor John – there are so many embarrassing moments for him. Molly and John immediately embark on a relationship, and John meets Cyrus, Molly’s son. Cyrus (Hill) and Molly have a disturbingly bizarre and overly-dependent relationship. I tell you, I’m not sure I’d be comfortable with my 21 year old son in the bathroom with me when I’m having a shower! The romance between Molly and John drives the film, but there is also a focus on the relationship between Cyrus and his mum, and Cyrus and John. John and Cyrus battle over Molly during which Cyrus exhibits some extremely selfish and manipulating behaviour. The only thing I really liked about this movie was the documentary-style camera work. The comedy is subtle, but it is also a little too much on the disturbing side. I tried to like this film, but it really didn’t gel for me. Reilly and Tomei don’t work, and Hall is creepy. Ewww.